This board controls up to 8 strings of up to 300 WS2812 leds each for a total if 2400 RGB leds! "Wouldn't it be easier just to make one long string?" y.. The USB stepper allows you to step a small stepper a certain number of steps at regular intervals. The intended use is for example home-built clocks..
BitWizard is a small company of electronics enthousiasts. We developed a bunch of breakout and development boards for our own use. Because we like to keep things general, these are also useful for other people. So now you get to buy them! 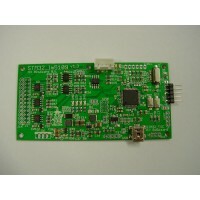 Our expansion boards are focused as extension for your microcontroller or Raspberry Pi. 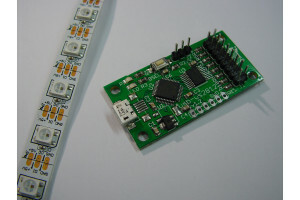 The boards can interface over either I2C or SPI for easy setup and configuration. 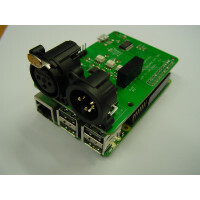 We also offer Raspbery Pi peripherals and cases, useful cables, USB boards and more! Shipping costs closely match what PostNL charges us. If a shop offers "free shipping" they calculate the shipping cost in the cost of that single product. If you buy more than one thing you will be paying too much. We can offer you the best price for each individual product this way. If you have any questions, don't hesitate to ask them. There is a contact form at the lower left. 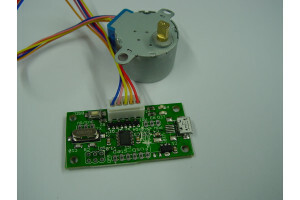 The BitWizard ESC is a VESC compatible Brushless DC motor controller. It is based on the VESC by Benjamin Vedder, but has a few interesting difference..
Raspberry pi DMX interface with usb (FT245RL). Designed and developed in cooperation with Arjan van Vught. 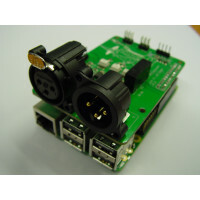 Works with Raspberry Pi, Raspberry Pi 2, Ra..
Raspberry pi DMX interface. Designed and developed in cooperation with Arjan van Vught. Works with Raspberry Pi, Raspberry Pi 2, Raspberry Pi 3 &..